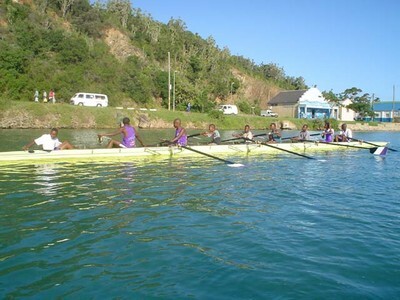 Nemato Rowing Club made a new step forward. A little bit scary at first; now it is exiting. 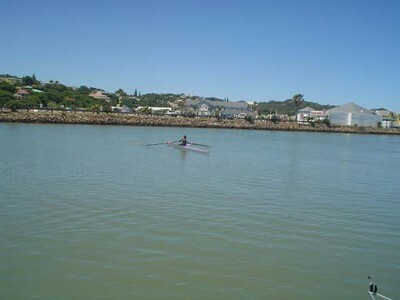 Rowing in single scull on the Kowie River. Here are rowers on their way to the start of Boat Race, 6.2km up the river. 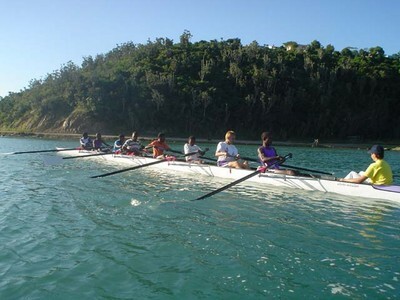 Schools Boat Race in Port Alfred is the big rowing event for schools in South Africa. 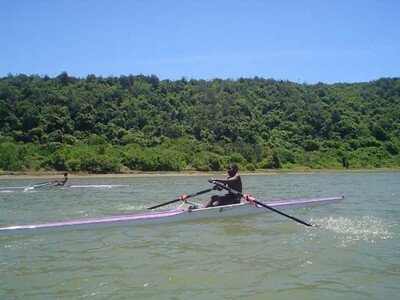 The rowers from Nemato Rowing Club are not experienced enough to participate in the race. 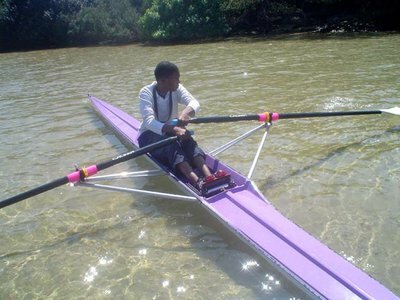 Germiston High School invited Nemato to have two training sessions with them in the eight. First time in an eight and first time sweep oar rowing (one blade per rower). Very quick learners! Nice experience! The second session was filmed for TV. 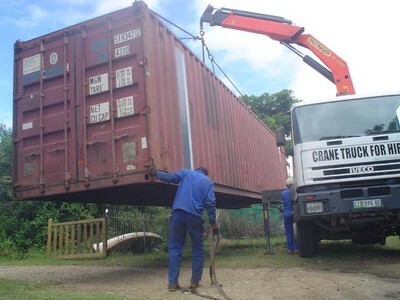 A container arrived at Ski Boat Club in Port Alfred. 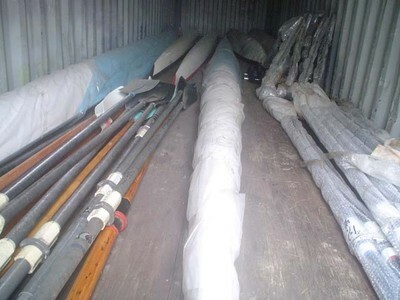 The rowing club will use it as temporary storage space till the time Port Alfred Rowing Centre will have a boat house. 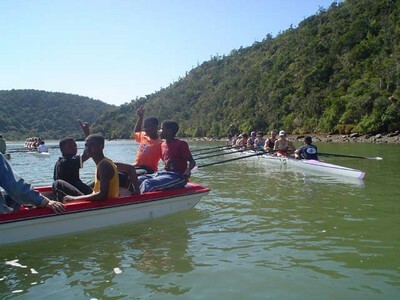 Nemato Rowing Club also received boats this month from the Boat Pool for transformation projects of Rowing South Africa. 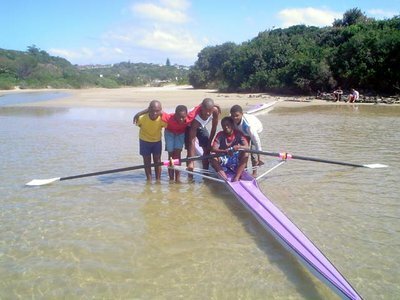 In the September holiday rowing started at Kiddies Beach in Port Alfred with boats from Port Alfred Rowing Centre. Pictures of the very first lesson. 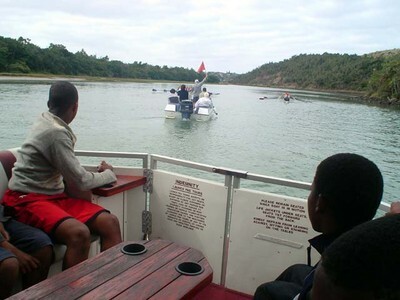 The finals of South African University Boat Race took place in Port Alfred on Saturday 10th September. 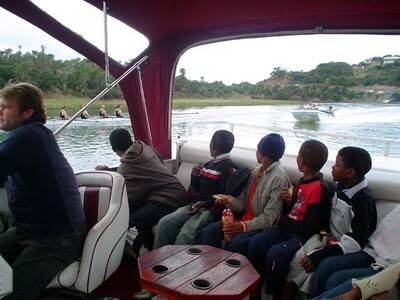 The organisation of Boat Race invited Nemato Rowing Club to follow a race in motor boats. It was nice to experience this big rowing event from close by. The organisation also offered hot dog rolls for the group. Rhodes University organised a Rhodes/Nemato Day on Saturday 3rd September. 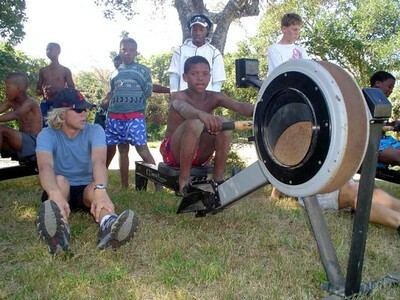 The day program: a warm up for everybody with running and stretching, a rowing session by the students watched by the Nemato kids in motor boats, the students coaching the kids on ergos (rowing machines) and a small braai at Centenary Park. It was a nice introduction to rowing. 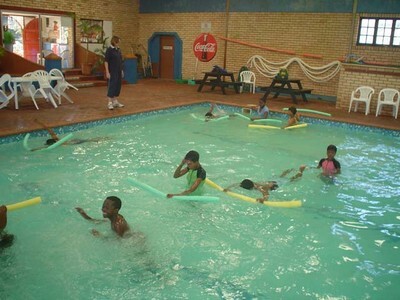 The activities of Nemato Rowing Club started with swimming lessons in Port Alfred's Heated Indoor Pool. The coaching and organisation was in the hands of Fiona Williamson from the District Sports Office in Grahamstown. The Department of Sport covered the expenses for the course.